Up until FIRIS started to organize the objection to the practice of using the schools as venues for Christian Missionary work, parents were all alone, and the Minister of Education, looked the other way and teachers were told to keep their mouth shut. We’ve come a long way since then but we’ve a long way to go. The fact is there still isn’t anything wrong with local churches running these ads trying to find ANYONE, moved by passion to evangelize children. When FIRIS pointed this out – Martin Dixon and Peter Garrett said, “there is no evidence of any proselytism. 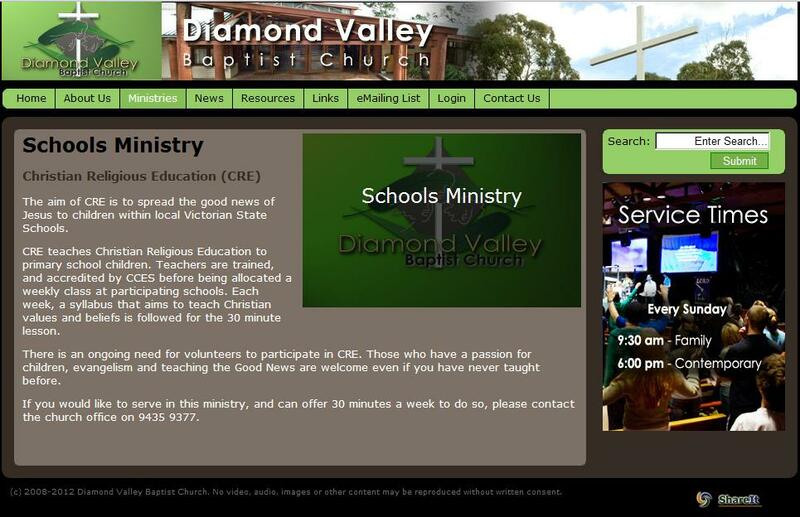 The aim of CRE is to spread the good news of Jesus to children within local Victorian State Schools. CRE teaches Christian Religious Education to primary school children. Teachers are trained, and accredited by CCES before being allocated a weekly class at participating schools. Each week, a syllabus that aims to teach Christian values and beliefs is followed for the 30 minute lesson. 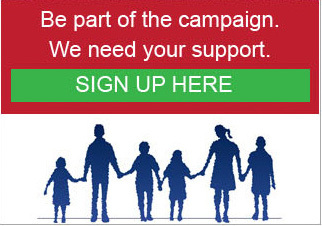 There is an ongoing need for volunteers to participate in CRE. Those who have a passion for children, evangelism and teaching the Good News are welcome even if you have never taught before. If you would like to serve in this ministry, and can offer 30 minutes a week to do so, please contact the church office on 9435 9377. If you want to get a flavor of just what kind of religion we are talking about here. We are talking about a very PERSONAL relationship with God. At Diamond Valley, God really gets involved with you in a personal and intimate way … in the case of this youth pastor, God “got a hold of of him and said very clearly, sell the 1968 Holden Monaro HK. So when you hear the term “personal god” being discussed in the context of evangelical and fundamentalist religion – we are talking about very personal things indeed. can have to reach unchurched children with the Good News. community and, this is our mission field. isnt there a code of conduct for volunteers in schools,…i couldnt find the monaro on ebay is that another lie, or just match box car he,s talking about. did you search completed sales? “This is our mission field” is one of the statements that I find most unsettling and upsetting. It envisages school age children purely as targets for christian conversion, as an avenue through which christians are able to fulfill their evangelical obligations. It is quite clear that the paramount aim is the dissemination of the Good News and that all other concerns fall by the wayside – spreading the word pleases God, gives the churches a means by which they can feel that they are actively fighting falling church attendances and allows individuals of faith to demonstrate in a very real manner their willingness to serve their god – all of this results in a mindset where children are transformed in to a “mission field”, stripped of their individual personas and turned in to an object that christians – in a very real sense – want to possess. @John van den Akker – You’re correct in stating this as the most unsettling and upsetting statements ever quoted. It provides a misrepresentation where because of the belief of a particular person, they can enter one family unit and impart their belief on to those invulnerable and impressionable whenever they choose. Not only unsettling but seriously disturbing with much arrogance and it is important where groups such as FIRIS continues with our support. I can see the point of this article and how children are effectively targets to be converted, but I personally don’t see why this is an issue? From my experience all that the Christian faith teaches is based on loving others and caring for people. I’m sure you would agree that if these principles are being taught in these lessons and the children learn about how they can work together in a more loving way, they will be better off for it. Children now are so self absorbed with everything about them and with a consumeristic mindset that a little cre class I’m sure is of benefit. Previous generations grew up completely surrounded by Christian values and beliefs with the majority of people attending church sunday school and I really can’t see any negative impacts from that. If anything that may have helped shape them into we’ll rounded individuals with values. @Tony Walker – The issue is that these children are NOT YOURS!!! Why can’t you xians simply understand that you have not the right to barge in and proselyte to someone else’s children. That is so arrogant that your belief takes precedence over a parent’s decision as to how we wish our children are to be taught religion. “From you experience” can I ask if you are a xian? If you are (which I somehow believe) then your viewpoint is from a xian and evangelistic perspective and not at all from our eyes. What I see is such insult that xian values by your standards seems to be better than the values that we teach to our children. In all honesty statistics show that xian morals are no different to those that are not xian or even no belief ergo your consumeristic mindset holds very little ground. What is also arrogant is that you fail to see the consequences should those children not partake in these classes. Some children are told to sit in the back of the room and become “invisible”. Some are taken out of class and told to sit at the corridor as if they are punished or to do menial tasks such as picking up the rubbish from the playground because of restrictions of teachers. They are NOT allows to continue with the core curriculum which is so unfair to these children. There is your negative impact Tony. There is no need for an SRI / CRE class in a state run public school as you said that you already have alternative classes such as “Sunday Schools”. I want my children to be taught how to think not what to think by some volunteer who believe that all children shoulf be proselyted to against the wishes of the parents.